Support the Susan G. Komen for the Cure Foundation! Yes, because they work with organizations that help and support Individuals. Yes, because they work with various organizations to research and find a cure for cancer. Yes, because they work with organizations to educate individuals. Yes, because they work with various organizations to help prevent cancer. YES! Because they now have truly proven that they really DO CARE about women’s health. Komen Cuts Planned Parenthood Grants Months After Arrival Of New VP, Who Is Abortion Foe ~ Huffington Post. Komen Foundation ends partnership with Planned Parenthood ~ Fox News. Komen spokeswoman Leslie Aun told The Associated Press that the cutoff results from the charity’s newly adopted criteria barring grants to organizations that are under investigation by local, state or federal authorities. Aun said this applies to Planned Parenthood because it’s the focus of an inquiry launched by Rep. Cliff Stearns, R-Fla., seeking to determine whether public money was improperly spent on abortions. Support the Susan G. Komen for the Cure Foundation because they need to know that what they did is Right! Support the Komen Foundation with a Clear Conscience. Here is why. You just condemned many poor women to death from breast cancer. This will cost you big time in support and money. Cowards! Planned Parenthood is a major provider of mammograms to poor and working class women, who last I checked, still get breast cancer, which makes them a vital and key link in fighting breast cancer. Cutting ties because of obnoxious blowhards doesn’t show devotion to a cause. Talking the talk for the cure, but not walking the walk for the cure. A conservative activist group seeking to discredit the Planned Parenthood Federation of America released audio tapes Wednesday that it said contradicts claims the organization made that it provides mammograms. A spokesman for Planned Parenthood, however, immediately denied that the group claimed to provide mammograms and pointed to a television interview with the group’s president it said showed her statements were taken out of context. The dispute comes as Planned Parenthood tries to fight off efforts in Congress to cut off the group’s funding. 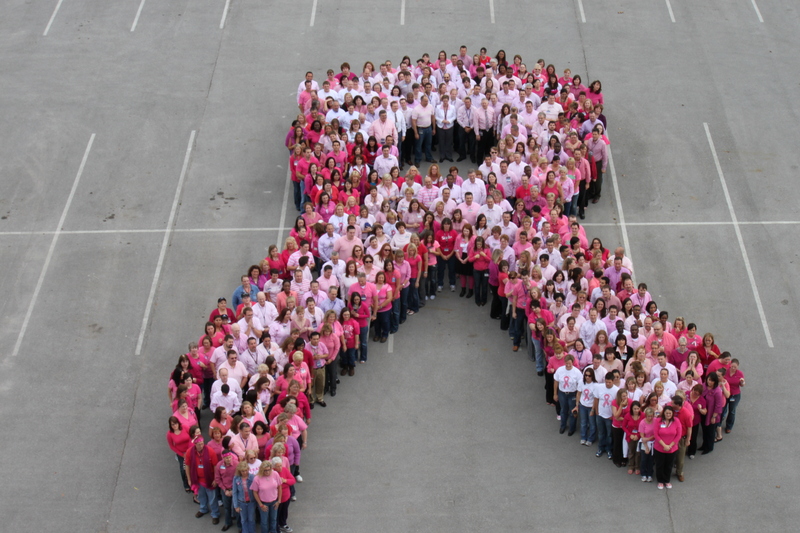 Just want to remind everybody that the Susan G. Komen foundation is dedicated to fighting breast cancer. What do you think is going to happen to the 1/2 million dollars that would have otherwise gone to Planned Parenthood? It’s going to to the cause of screening at risk women for cancer, because that’s what Komen DOES. Heck, I bet some of it will go to organizations that actually provide mammograms for low-income women, instead of just “referring” them, as Planned Parenthood acknowledges is their policy. So there will be no reduction in the services provided to at-risk women. Poor Susan G. Komen for the Cure … they are really taking some nasty hits on their FB page for taking away Planned Parenthood’s funding. I left a message thanking them and the nasty replies made my heart all warm and gooey. Wanna have some fun… drop Susan a line and say “Thanks. We support your decision”. Who said being a Catholic Christian wasn’t fun?? St. Joseph, Pray for Us. Day 2. To J and All Pro-Choicers…. Educate yourself before saying such ill-informed things. You turn your back on the uninsured, the poor and the needy when you condemn Planned Parenthood. You condemn the “least of these” and so you condemn Christ. This is an organization established to provide women’s health exams, pre-natal care and contraceptives — all with the aim of preventing abortion. Or, in the worst case scenario, providing a safe abortion and making sure that the woman knew how to prevent getting pregnant again. They were founded in an age where 10% of women died in childbirth (more if they were a poor woman) and so unsafe abortion was rampant — but still safer than birth. Because of preventative services, less than 3% of all Planned Parenthood services involve abortion. Most services involve a pap and a breast exam — not a mammogram, but that’s the best the uninsured (mostly poor *married, white* women, FYI) can do! The vast majority of these women have no other option for gynocological exams without health insurance. Not if they want to feed their children. And you’re okay with depriving them the resources to do even that? You care an awful lot about unborn children, what about those who are already born — or their parents? Are you simply ignorant? Do you just not care?